I am sadly old enough to remember the horror of the Oklahoma City bombing, the worst act of domestic terrorism in American history. Oklahoma City makes for a good history lesson to learn about this shocking and barbaric act. It does not make as strong a case for what came before as perhaps it could have. Cutting in between the events of April 19, 1995 and what led up to the Murrah Federal Building bombing, Oklahoma City divides into three sections: The Spark, The Flame, and The Inferno. The Spark chronicles the the rise of the white supremacist movement, culminating in how Bob Mathews formed a small group calling itself The Order to bring the racist novel The Turner Diaries to life. This in turn led to the FBI taking a greater look at these movements, which led to another controversial moment: the siege at Ruby Ridge. The Flame is on the siege of the Branch Davidian compound in Waco, Texas. The 51-day standoff eventually led to the Bureau of Alcohol, Tobacco and Firearms storming the compound, where 76 people ultimately lost their lives. The Inferno covers both the actual bombing and the aftermath. All of the preceding events pushed former Army veteran Timothy McVeigh to take matters into his own hands. Pushing two former vets he knew: Terry Nichols and Michael Fortier, to help him procure material to make a massive explosive. Oklahoma City is selected, but first Fortier and later Nichols both get cold feet and pull out of the actual bombing itself. Only the cold and determined McVeigh goes through with it, leading to 168 deaths, including 19 children. McVeigh, through some incredible investigative work by the FBI and a touch of luck, was quickly arrested. Unrepentant till his dying day, McVeigh is executed, leaving not a revolution in his wake, but untold misery for all those who survived his inferno. Oklahoma City is at its best when it focuses on the human element. Seeing the images of the children murdered is the hardest thing. It moved me to tears to see all these infants' smiling faces and know the horror of their deaths. Seeing the grace and eloquence of their parents too is especially moving and impactful. One of the interviewees, Helena Garrett, is billed simply as 'Mother', and that has to hit one on a deep level. Ms. Garrett says that 'faith, family and friends' are what keep her going, but it is hard to know that her child is gone for no reason. Oklahoma City also has archival recordings from McVeigh, giving us a chilling postmortem view from a man who never apologized or sough forgiveness for what he did, let alone see a need to do so. We see a true heart of darkness. Here, director Barak Goodman showcased a deft hand. Where Oklahoma City is at its worse is in how unquestioning it is with regards to the FBI or ATF. Not once does the film ever suggest that either agency made mistakes or bungled either Ruby Ridge or Waco, at least not that I can recall. The ATF knew that the Davidians had been accidentally tipped off to the impending raid, but Oklahoma City does not have anyone interviewed questioning the wisdom of going ahead with the raid despite the Davidians being heavily armed and aware. The FBI agent says flatly that the Branch Davidians fired first, a point that, like just about everything involving Waco, is still in dispute but which Oklahoma City never questions and accepts as almost an article of faith. The truth is that no one knows who fired the first shot. Those who either left before the final raid or escaped the fiery compound insist the federal agents fired first. The FBI says the Davidians fired first. Not even those who were on either side in Waco can say or prove beyond a shadow of a doubt who fired first. For Oklahoma City to not question or suggest that there is uncertainty leaves a false impression: not that there was some conspiracy, but that the issue is settled when there is still so much that is murky. Perhaps more controversially, the FBI interviewee states that the Davidians started the fire themselves that fateful April 19, case closed, end of debate. The film produces audiotapes that show those inside the compound set the fire themselves. While they have a stronger case about the Davidians causing the fire, the audio-recordings are not conclusive, especially since the audio alone is unclear. The fire was probably set by the Davidians, though it might also have been accidental. I do not believe it was intentional, but there is no way of knowing for sure exactly how it came about. Oklahoma City puts itself squarely on the FBI/ATF's side, and even aspects that were egregious, such as taunting the besieged Davidians by playing These Boots Are Made for Walking at them as a mocking threat, are similarly not questioned as to their wisdom. Personally, using the hymn Old Time Religion to open The Flame section was a mistake. With the shocking events at Waco, which lead to greater horrors, using that hymn made the impending crisis in Waco sound as if it were not serious. Perhaps The Old Rugged Cross would have been better choice: it's more somber than the upbeat Old Time Religion, befitting the situation. 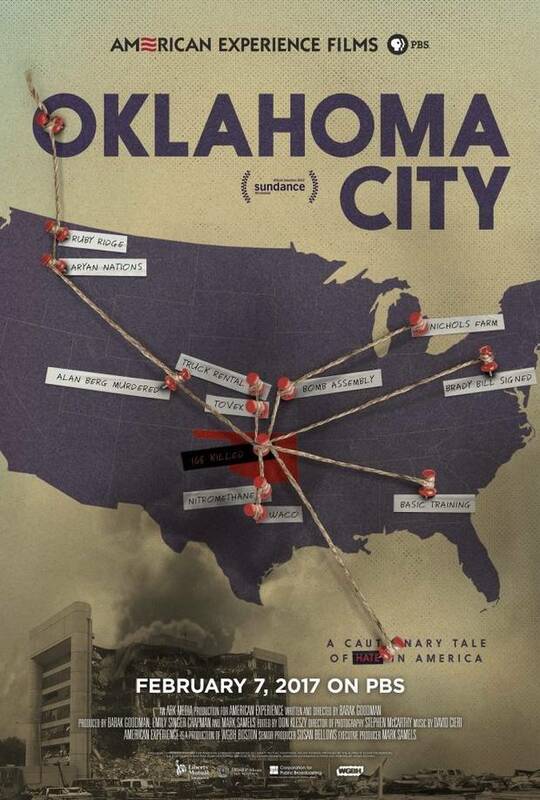 Still, with a wealth of archival footage and interviews, including the dark clips of McVeigh's voice, and some excellent editing by Don Kleazy and David Cieri's tense and gripping score, Oklahoma City is a well-formed piece of chronicling this horrific crime and the tragedy that engulfed so many who had done nothing wrong.